Take the other side of the trade with The Daily Dirtnap’s unconventional take on the markets, investor sentiment, and macro forces. Traders, hedge fund managers, financial advisors, and other market participants depend on Jared Dillian’s The Daily Dirtnap for quick, fresh market insights. Around 225 days a year, Jared sends readers his latest take on what’s moving the markets. The Daily Dirtnap is a short but profound read to start your day with: from Jared’s contrarian calls, to his keen analysis of developing macro trends, to his insights into investors’ animal spirits. The Daily Dirtnap gives you a close-up, creative take on the markets. The Daily Dirtnap isn't a Mauldin Economics service. It began as a letter strictly for traders and clients during Jared’s time as head of the ETF trading desk at Lehman Brothers. The Daily Dirtnap is fueled by Jared’s experience on the trading floor, where he touched every sector: commodities, currencies, equities, interest rates, and even credit. Add in Jared’s irreverent writing style and fearless approach to making contrarian calls, and it becomes clear that The Daily Dirtnap is a newsletter unlike any other on the market. If you want to challenge your thinking on indices, ETFs, liquidity, currencies, macro, market psychology, and more... if your clients’ investments (or your own) would benefit from the insights of one of the sharpest, most agile thinkers in the industry... if you want to get a deeper understanding into how emotional decision-making can direct the markets... then The Daily Dirtnap is for you. 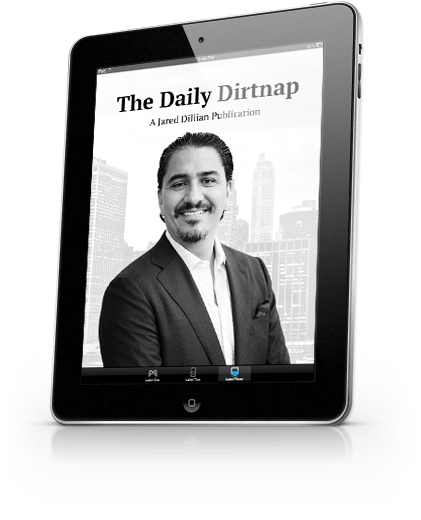 Discerning topics for discerning readers: The Daily Dirtnap is designed for financial professionals and self-directed, active investors, not the casual retail investor. Intellectual flexibility: Dogmatic trading usually leads to disaster. The Daily Dirtnap helps subscribers confront their own biases and adjust accordingly. Qualitative analysis: Quantitative analysis is everywhere, but good qualitative analysts are rare. Jared is unafraid to make big contrarian calls based on his experience and insight into investor psychology. Hand-holding: The Daily Dirtnap is not suitable for novice investors who need detailed advice on what and when to buy and sell. It provides big-picture thinking and Jared’s trade ideas that you can run with on your own. “I’ve been reading Jared’s work for some years now, and rarely a day goes by without him making me stop and think. In The Daily Dirtnap he produces some of the most sharp-witted and wise market analysis you will find anywhere. It’s also that extremely rare animal—a letter that manages to overflow with insights while being hugely entertaining. "Jared does a very effective job of highlighting markets and assets that move well out of line with their underlying fundamentals, utilizing a quirky, self-deprecating writing style. He is thought-provoking and challenges your views, and is always entertaining." “People say that $795 seems like a lot for a newsletter but it is nothing compared to the value of just one piece of data, or one idea. In my case it was just one offhand remark—so [The Daily Dirtnap] is worth it already. Subscribe to The Daily Dirtnap today for just $795, and receive a full year of near-daily market commentary directly from Jared’s desk. You will get around 225 slices of Jared’s trademark wit, lateral thinking, and his no-holds-barred take on everything from China’s economy to Canada’s housing bubble, from Dodd-Frank to Donald Trump, and from trades of the century to dirtnaps of the century. The Daily Dirtnap is an invaluable asset for any market participant seeking to think differently about the markets and question the consensus. Please note—there is no money-back guarantee with The Daily Dirtnap. Simply fill out the order form below to get started. As The Daily Dirtnap is not a Mauldin Economics service, you will receive it from Jared personally—it will not be available in the “Your Account” section of the Mauldin Economics website.